Jet1k1 is a very unique EUW Challenger player. He holds one of the most games & highest ranks in the world on Irelia and has been playing her exclusively in every elo! Content provided in our guides are equivalent to 4-5 hours of coaching by a Challenger player. We provide only the most effective way of playing your champion in League of Legends! 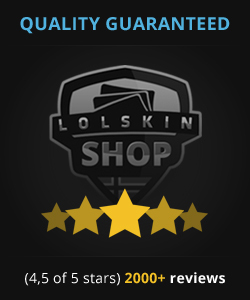 We have provided high quality guides for over a year to over 2000 players! We provide only unique one of a kind in depth guides! Irelia is a champion that will be viable in every elo and can accept the challenge of time and nerfs always and forever! We have spent 6 months in making this extremely awesome, big and detailed guide to help you understand how to understand this extreme playmaker to her fullest extent! Our guides is without any exaggeration the biggest and best Irelia guide ever written! This is a complete one of kind piece of art that has material for days of reading, learning and watching! If you want to know the complete mindset, mechanics of a true 6 years Irelia main then you should grab this guide right now! – Full indepth guide on everything about Irelia top & mid – Written by an EUW Challenger Irelia one trick pony – Over 5000 games of Irelia in every elo from Bronze to Challenger – Absolutely everything you need to know about how to hard carry teams in ANY elo. 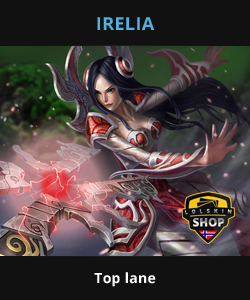 – Over 50 images and videos on everything about Irelia and her opponents!. – The biggest Irelia guide written! Over 6 months of writing and data collection! 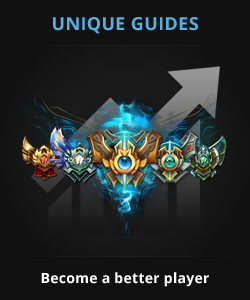 All guides have been written by Challenger and Master players only! Guides are written by the top players in the world on their respective champions! Our guides are always updated after each major change! Each guide has been carefully tailored to be easy to read and understand! Start learning the game correctly and conquer it TODAY!